Getting long in the tooth, but no premium small car test would be complete without it. Not just a Fiesta; Vignale means more luxuries and even a one-to-one relationship manager. 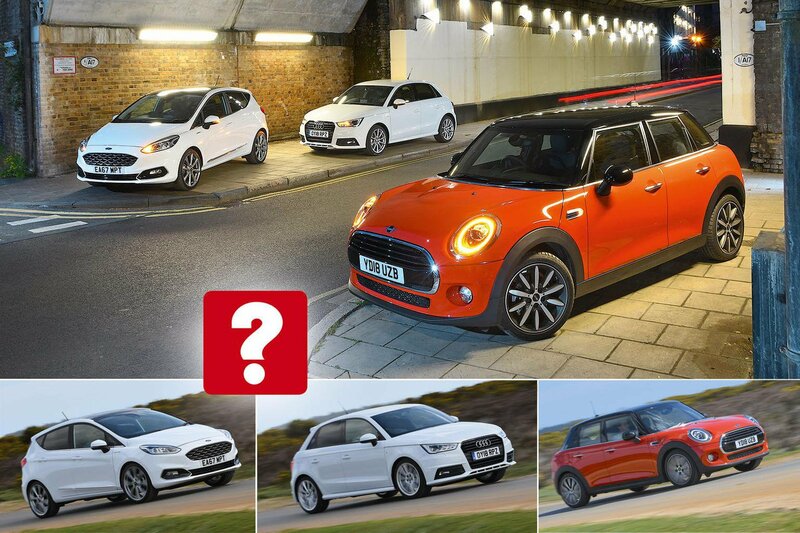 The daddy of the premium small car brigade has been rearmed with a mild facelift. You’ve heard of the old boy network, right? That once-pervasive canopy of toughened-glass ceilings encapsulating the hoi polloi, from which malevolent voices would boom down directives such as “Know your place, sonny Jim”. Thankfully, even those from the humblest of backgrounds can expect better things these days. A similar metamorphosis has washed through the car world. Years back, if you’d bought a new small car you were the downtrodden – destined to travel glum-faced in something wheezy, noisy, cheaply made and with all the luxuries of a Victorian workhouse. But not any more. The Mini 5dr is a champion of the charge. Its narrative may be based heavily in the past, but there’s nothing old school here. It’s pure premium retro chic, decorated with an abundance of high-tech bells and whistles. It’s been facelifted, too, and now looks even sharper inside and out. Then there’s the Audi A1. Sure, this is a car nearing the end of its lifecycle, but it’s one with a desirable badge and a sculpted interior that wouldn’t look out of place in something twice the size and three times the price. Even Ford – traditionally a brand as blue around the collar as its oval badge – is getting in on the act. 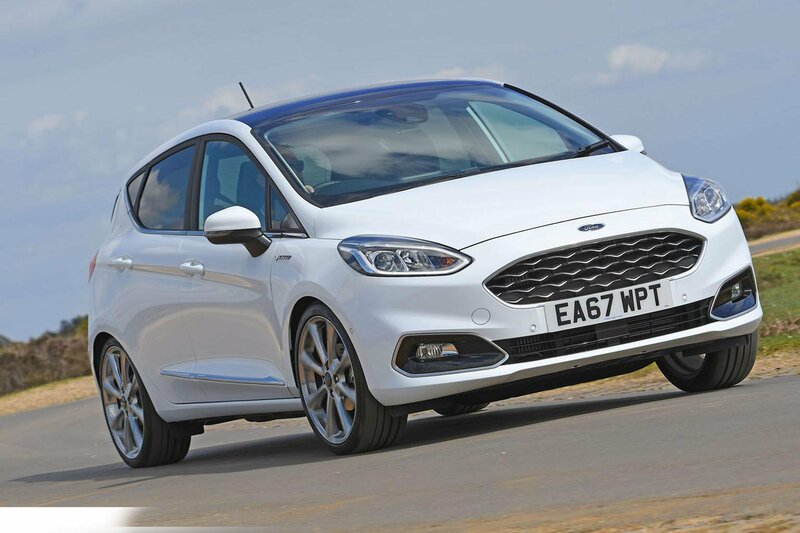 The latest Fiesta is a cracking car, and Ford has lacquered it with some Vignale varnish. Vignale is Ford’s premium trim, offering higher-quality fixtures and fittings, as well as enhanced levels of service. Small cars with a luxury edge deserve a bit of poke, so all three get punchy turbocharged petrol engines. 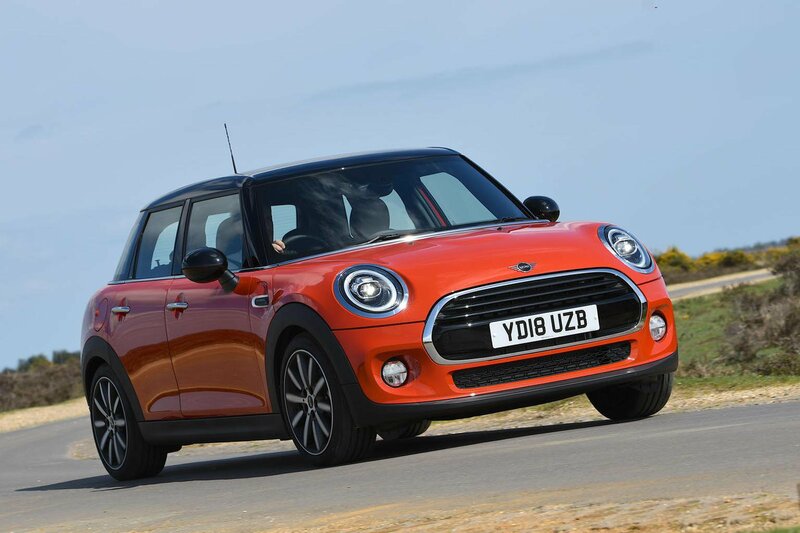 At 1.5 litres in size, the Mini’s three-cylinder motor is the biggest but, with 134bhp, not the most powerful. That honour belongs to the Fiesta’s titchy 1.0-litre three-cylinder unit, which puts out an impressive 138bhp. The A1 is the only car with a more traditional four-cylinder arrangement; it measures 1.4 litres but meters out just 123bhp. In a straight sprint away from a standstill, though, the form book is turned on its head. How so? Well, the A1 is the most rumbustious, revving keenly and mustering the pace to see off the Mini. The Fiesta trails behind, hampered by a tendency to stutter momentarily during quick gearshifts. When it comes to gaining speed from a rolling start (a good measure of overtaking proficiency), the Mini proves slightly swifter than the A1. The Fiesta, meanwhile, remains the slowest by a decent margin. What about good in-gear performance, which is what makes a car feel effortlessly brisk to drive? This is where the Fiesta excels; at low revs you can prod its accelerator and it’ll generally scamper away the quickest – markedly so in fifth and six gears. Not that the others feel tardy. Put your foot down in any gear in the A1 and it pulls handsomely. Longer gearing tempers the Mini’s acceleration in the lower gears, but in the higher gears it’s just as vivacious as the A1. The Mini is easily the quietest car of the bunch. Driven gently or at a steady cruise, you barely hear its engine at all. Throw in respectably low levels of wind and road noise and this is a car in which you’ll happily chalk up miles. It’s not all praiseworthy, though; there’s a bit of gearbox whine and its manual gearshift feels clumsy and unsatisfying. The Fiesta’s gearbox is better – slicker and meatier – and while its engine is a little more vocal and spins fastest at 70mph, it’s hardly intrusive. Neither is wind noise, although the grainy tyre drone from the optional 18in chromed wheels (£450) means we’d stick with the standard 17in rims. In sporty S line trim, replete with 17in wheels and low-profile tyres, the A1 suffers the most road and wind noise at 70mph. As you pour on the power, it has the rowdiest engine, too. That said, its rorty parp sounds pleasingly sporty; this, combined with its snappy, short-throw gearbox and well-defined clutch and brake pedal actions, makes it feel like a warm hatch in this company. That degree of sportiness spills into other areas. 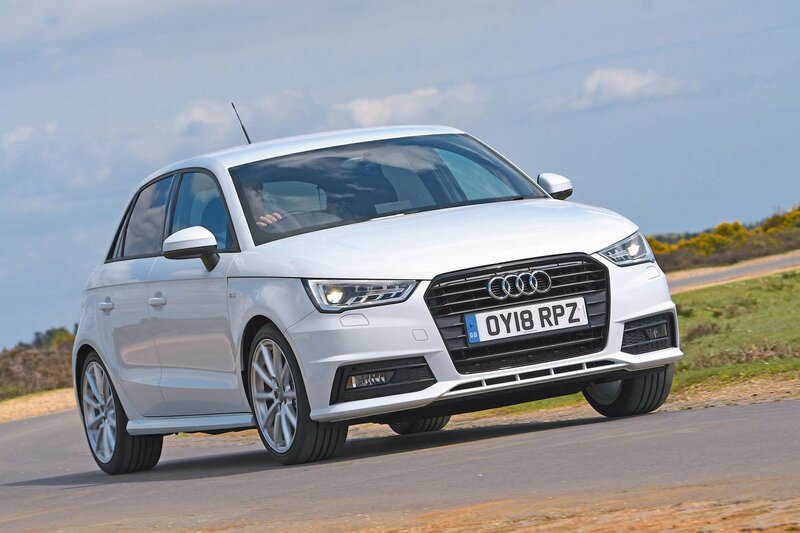 Take the A1’s zesty handling, which makes it a hoot to drive on a snaking country road. The intuitive steering weights up just so, so you can place the nose exactly where you want through corners. And with its S line sports suspension meticulously controlling body movements, it’ll change direction on a sixpence. However, the Fiesta isn’t far behind. It turns in eagerly, and while its softer suspension allows more initial roll than the A1, it settles quickly to deliver abundant grip, balance and poise, even when the road is rough and challenging. Now, going by Mini’s reputation for sportiness, you might expect this Cooper to dart into corners like a Jack Russell pup with ADHD. Sadly, it doesn’t. For a start, its gloopy steering fails to build weight as you turn in and is unwilling to self-centre. This translates to a lack of real connection with the front wheels, so you have to concentrate harder to keep things smooth. And if you try to hustle it along, either the front wheels start to lose bite and wash wide of your chosen cornering line, or the rears get skittish. While this imbalance is dealt with safely by the stability control, it makes the Mini feel disjointed and not much fun. However, the Mini – with its optional £375 adaptive dampers set to Comfort – makes up for this by having the most agreeable ride, most of the time. It can be a little aggressive over small surface variations at motorway speeds, but in the main it’s more settled than the other two and deals with broken urban roads the best. Fiestas generally ride well, and this Vignale certainly demonstrates their inherent suppleness, feeling the most composed over larger bumps. But those 18in wheels cause the Fiesta to pick up on smaller blemishes to produce a consistent and annoying shimmy on fast A-roads and motorways. Meanwhile, the A1 is just plain fi rm. It’s well controlled, mind; if it were a hot hatch, you’d say it was dandy, but it’s not. 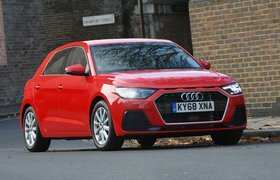 So if a cushy ride is your thing, the fact that the A1 follows every rise and fall in the road intently and thumps over torn-up sections will disappoint.